Hand Spinners or as they are known in some markets as Fidget Spinners is the latest children's craze sweeping the world. 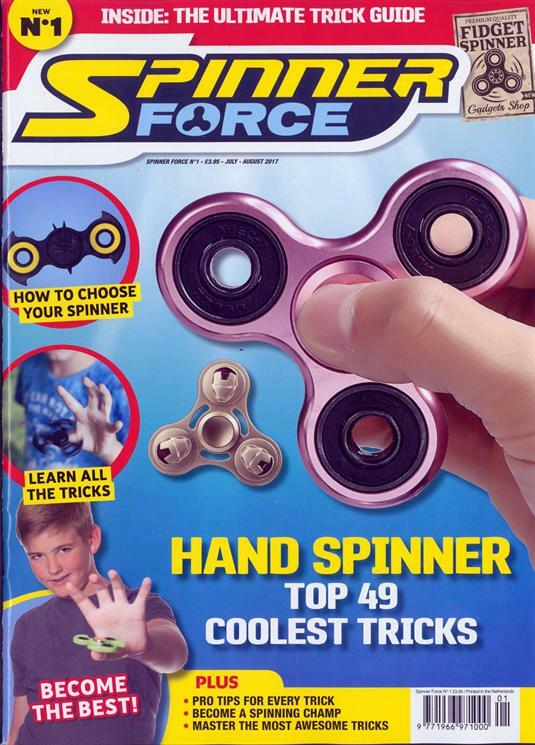 Spinner Force will have many tricks explained in easy to follow, step by step instructions with different levels of difficulty children can follow. There will be a guide to different spinners available with a guide to how they work etc. Each issue comes with a giant pull out poster children can put on bedroom walls.